The IKA Conical Dryer CD is suited for vacuum contact drying of various humid solids of different free flowing behavior as well as different bulk densities. Not only the conical dryer’s vessel wall and vessel cover are heatable but also the special spiral agitator. This ensures an optimal energy input into the product and also a uniform humidity and temperature distribution in the entire product area. 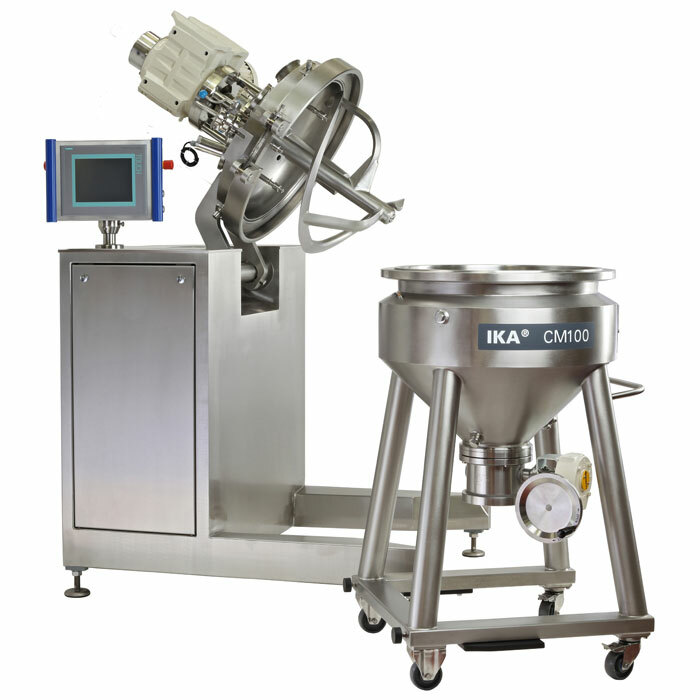 IKA Conical Mixers type CM enable a gentle and efficient mixing of bulk materials. The Conical Mixers are suitable for mixing all free-flowing solids, including products with different bulk densities. Products are gently mixed with a specially designed spiral agitator. Because the agitator is over-mounted in the vessel cover, no shaft seals come in contact with the product. The agitator has an aerodynamically efficient shape for low friction and improved vertical lifting power. The product is intensively mixed in both radial and tangential directions. Additional turbulences are created in the product area by the top-mounted flow breaker. The speed of the spiral agitator is infinitely adjustable and can thus be flexibly adapted to the product behavior. 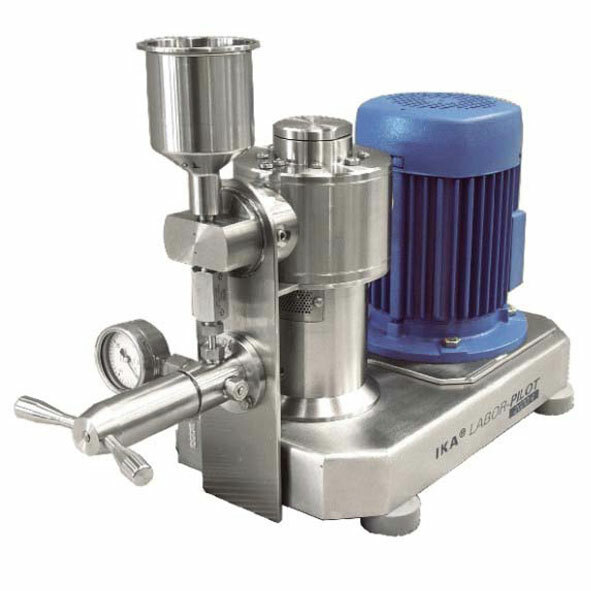 The high pressure homogenizer HPH is an inline dispersing machine for energy-efficient, continuous production of superfine emulsions. Compared to other IKA inline machines, the dispersing action of the high pressure homogenizer HPH is not based on the rotor/stator principle. The even better homogenizing effect is achieved within the homogenizer by means of spontaneous decompression of the liquid from max. 2000 bar to an ambient pressure. 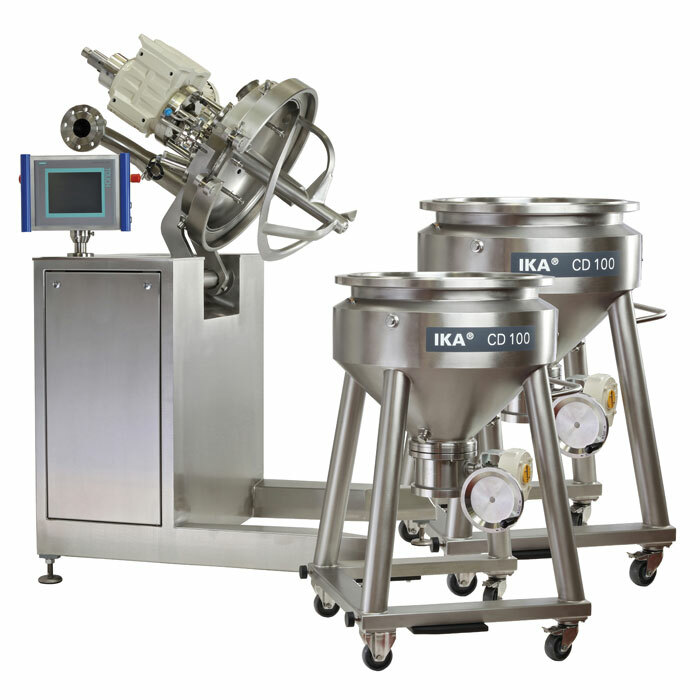 With the same energy input, the IKA HPH produces considerably finer emulsions than conventional toothed ring dispersers. many applications in the food, pharmaceutical, cosmetic, biotechnology, and environmental industries, it is necessary to reach particle sizes in a nano range. High pressure homogenizers can accomplish this task.